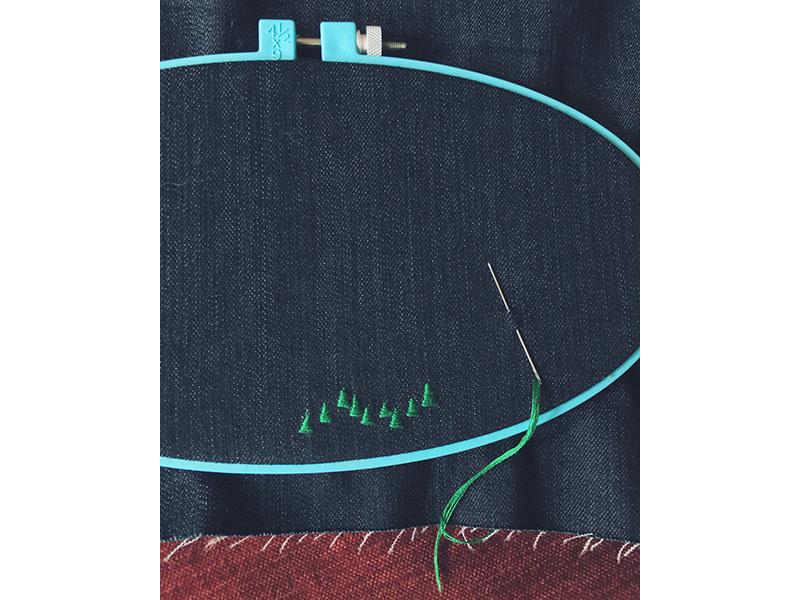 Most of my art practice is inspired by all the tiny fascinating components that make up natural ecosystems, so in many ways, Calgary is the perfect city to live in for an artist like me. Not only are there so many natural spaces and parks to spend time in right in the city, but Calgary is also surrounded by so many different landscapes to explore. Even though I was born and raised here in Calgary, I’ve always been more drawn to forests than prairies, so the Rockies seem to be perpetually on my mind. If you’ve lived in this city for any length of time, you probably find yourself, as I often do, using the mountains when you navigate Calgary—you always know which way west is. I also really love visiting the West Coast region of Canada, so the mountains also signify the gateway to any trip out that way. For me, the Rockies are at once a familiar touchstone and symbol of home, but also a signifier of possibility and adventure. They loom large in my imagination, and as a result they seem to pop up often in my work, whether it’s in a paper sculpture or an embroidered piece like this one. My interest in forest ecosystems also leads me to include trees in most of my work—the more I study them the more fascinating they become. 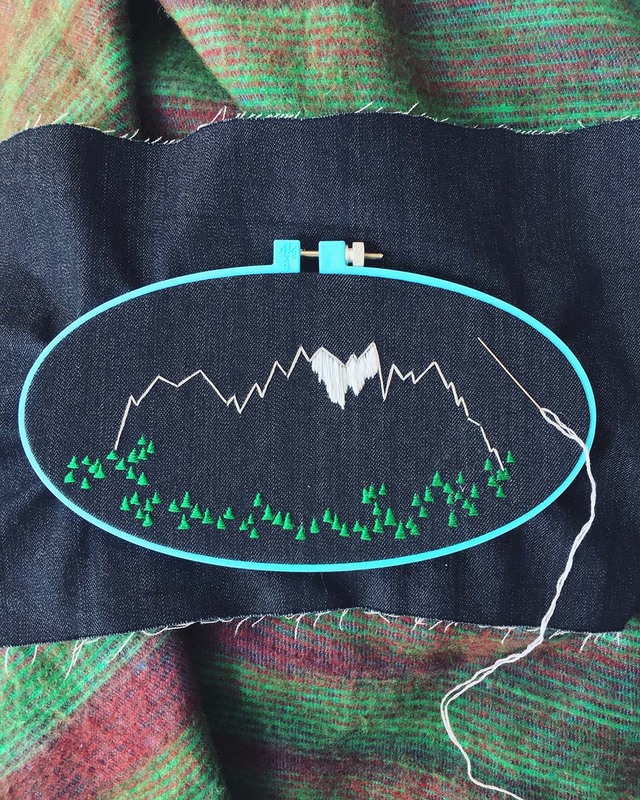 They are an essential part of most of the landscapes that I love most, so, like the mountains, they’re often on my mind and populate a lot of the things that I make. I hope that my work inspires the same kind of curiosity and affection in the viewer as I have for these places, and fosters a desire to both explore and protect them. Julya Hajnoczky is a photographer, artist, and self-appointed explorer-in-residence. Find her online at obscura-lucida.com and at @obscuralucida on Instagram and Twitter. You can even follow her community engagement sci-art project on Instagram at @alfrescosciencemachine. Show us how you live a creative life by tagging your Instagram snapshots with #yycLCL, and we may feature your image next month. What is Living a Creative Life? Thank you for your interest in Living a Creative Life! General inquiries can be directed to 403.264.5330 or by email. 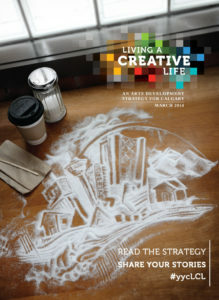 If you are interested in becoming a signatory to Living a Creative Life, contact Kaley Beisiegel, Engagement Consultant.